The Gazette du Bon Ton brought the latest 1920's Paris fashions to women all over the world. The primary focus was on dresses, suits and the like, but accessories were presented as well. 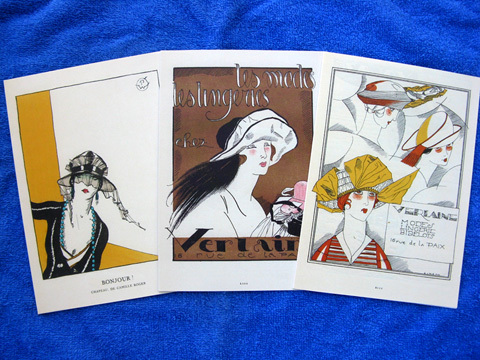 We offer this set of 5" X 7" notecards featuring a fun collection of exotic French hats, 4 each of 5 designs. It's a lovely way to send your most fashionable messages.